If you thought a boogie board was a salt-water vessel that lets you skim the waves, think again. 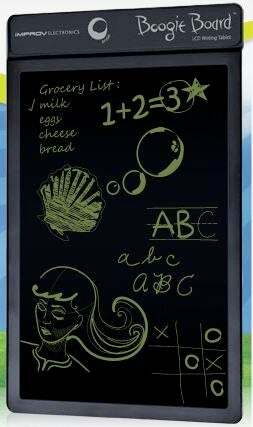 Improv Electronics' Boogie Board is a pressure-sensitive tablet that uses a watch battery for power. It's like a digital blackboard!